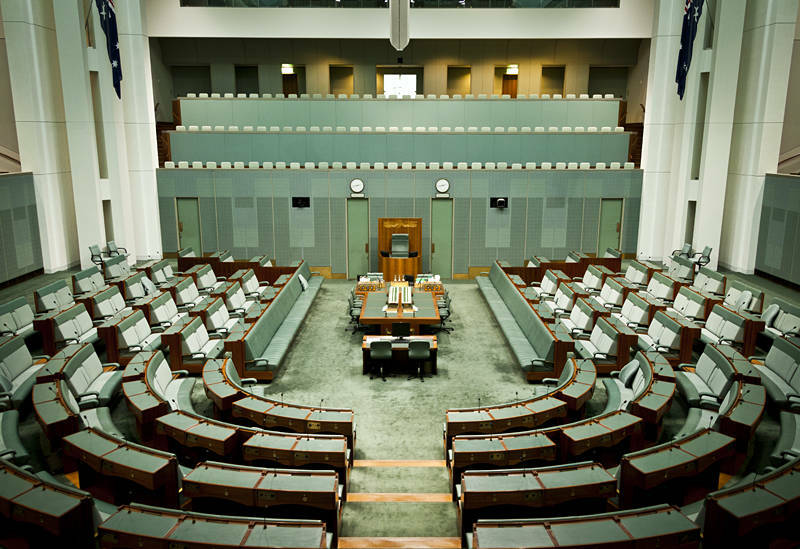 This is the House of Representatives in Parliament House, Canberra. This photo was taken when the country underwent a series of leadership changes due to political infighting on both sides of politics. The Representatives and the Senate are the two elected houses which make up the Parliament of Australia. In a reflection of the UK House of Commons it is furnished in green, However the colour was tinted slightly to suggest the colour of eucalyptus. The Senate is furnished in a more luxurious red colour.